Born and raised in the USA, Bull’s eye BBQ sauce has been taking barbecues to the next level since 1985. Nothing but the real deal, Bull’s eye sauces are full-bodied, smokey and packed full of flavour. Crafted by and for people with a passion for meat and bold flavours, there is nothing Bull’s eye cannot handle. From brisket to wings, or ribs to ribeye, Bull’s eye got you covered. 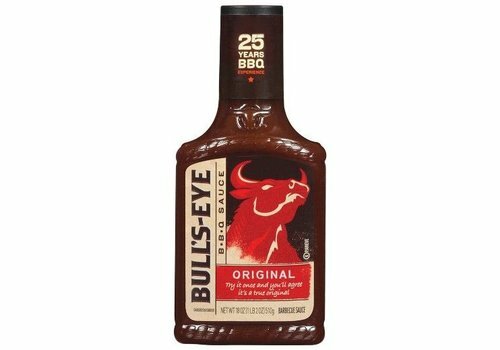 The original American BBQ sauce of Bull's Eye. 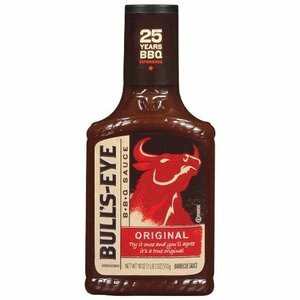 This BBQ marinade is composed in the classical way with the famous smoked taste, hickory, molasses and the secret Bull's Eye herbs!